The startlingly blue shade of the gems that adorn this pair of designer blue dual jhumki earrings makes them quite an eyeful to most. 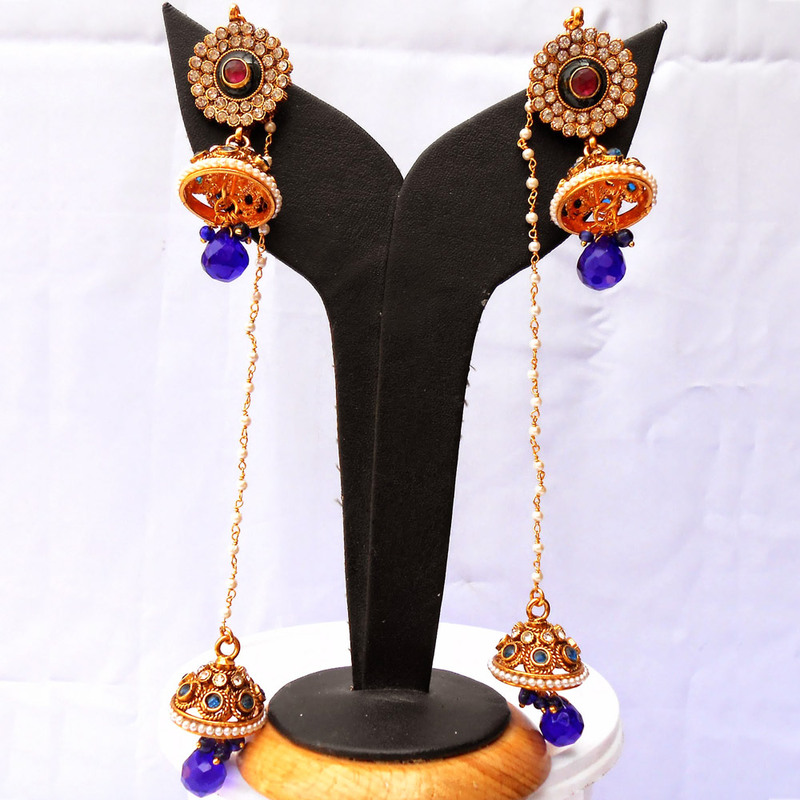 The Read More..teardrop shaped blue gems hang from the two jhumkis, with each at the end of a jhumki. They nicely complement the gold plated brass casing of the jhumkis, as well as, the green and white stones studding them. Moreover, the red gem encircled by two rows of smaller white stones that bedeck the stub on this piece makes it such a pretty sight for everyone. Show Less..